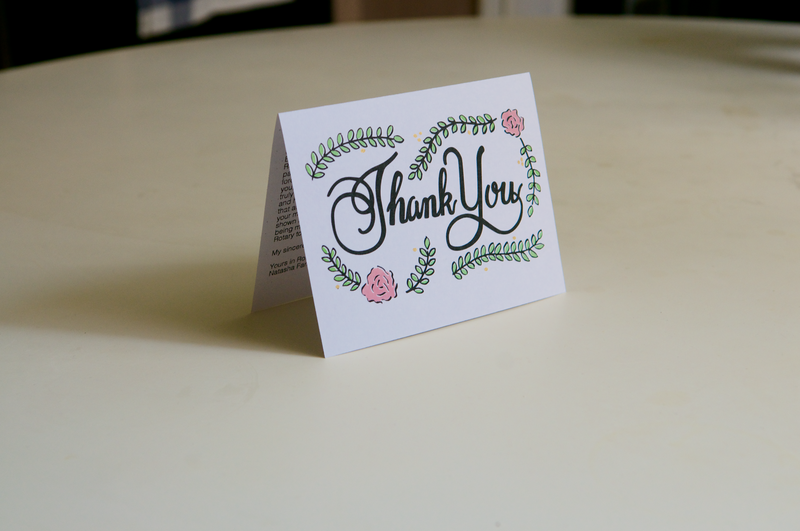 This card was made as a custom request — one of my friends asked me to create an elegant and classy thank you card. I’m not used to lettering elegance, but I’m always up for a challenge and am excited to experiment with new designs!! One of her mentors was stepping down from her position at their local Rotary Club, so she wanted to write a thank you card for her. 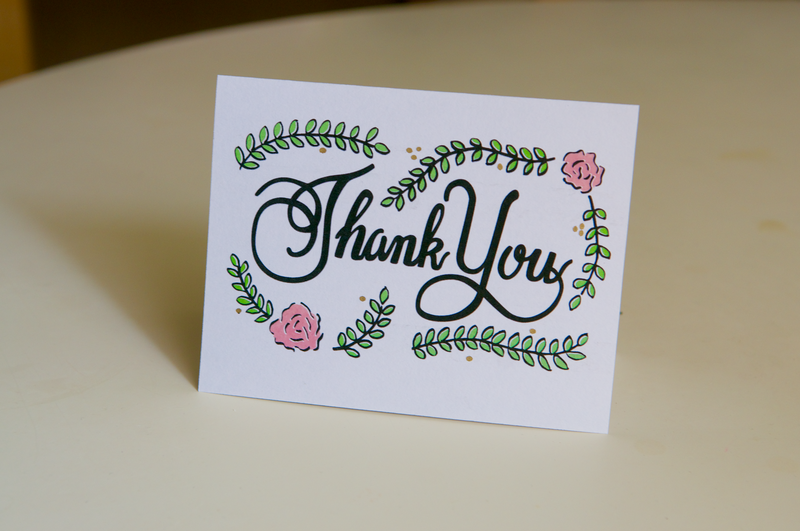 A classy thank you card, for a classy lady. I took this time to also teach myself how to digitize my work. It took me SO LONG to learn how to clean up my work on Illustrator (I stayed up until 5am one night by accident!!! I was having so much fun though, haha). Playing with those handles and anchors gave me such a headache. But it was a necessary headache, and I am now not quite as slow anymore. It felt SO GOOD knowing that I now have a new technique in my repertoire. Until now, I have always scanned/taken a photo of my lettering, and then layered that image into my final product. There’s nothing wrong with that, but it’s the cheap and lazy way! What you want to do instead is bring your image into Illustrator and trace it (that just means that your handdrawn lines turn into Illustrator lines). After that, you just have to put in a little bit of time to edit and clean it up to your liking. It is so much more advantageous to create a vector image in Illustrator. For one, the lines are clean, and the lettering can be resized to any size without losing any quality. Of course, this isn’t necessary most of the time, especially if you aren’t making multiple sized prints. This is only the first step (of many) to creating my own print shop. I can now digitize my drawings and lettering!! Get ready, world.